BELGIAN ART an auction catalogue for the sale at CHRISTIE'S AMSTERDAM 1999. 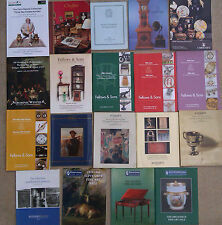 Greenslade Taylor Hunt Auction Catalogue. Fine Art & Sporting Sale. Sept 2001. This page was last updated: 24-Apr 10:48. Number of bids and bid amounts may be slightly out of date. See each listing for international postage options and costs.